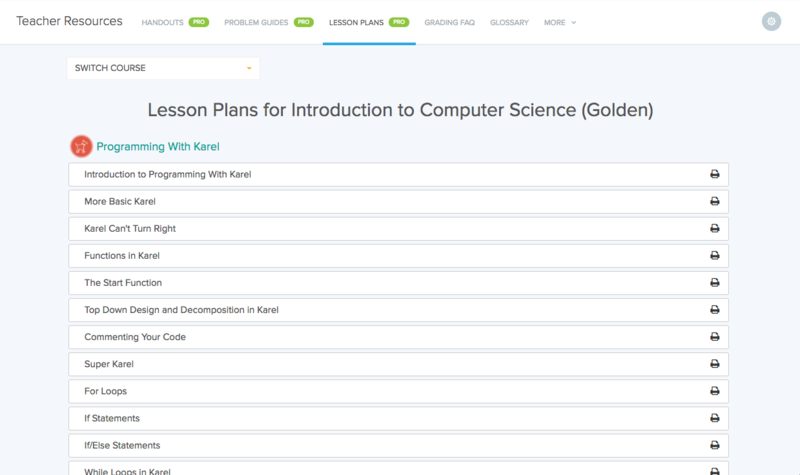 CodeHS has Lesson Plans for many courses. To navigate to a list of lessons in a course that have Lesson Plans you can use the following URL or the Toolbox at top of any page under the Resources menu. If you click on the print icon on the right, you will be directed to a printable lesson plan that the teacher can easily print and use for planning purposes. 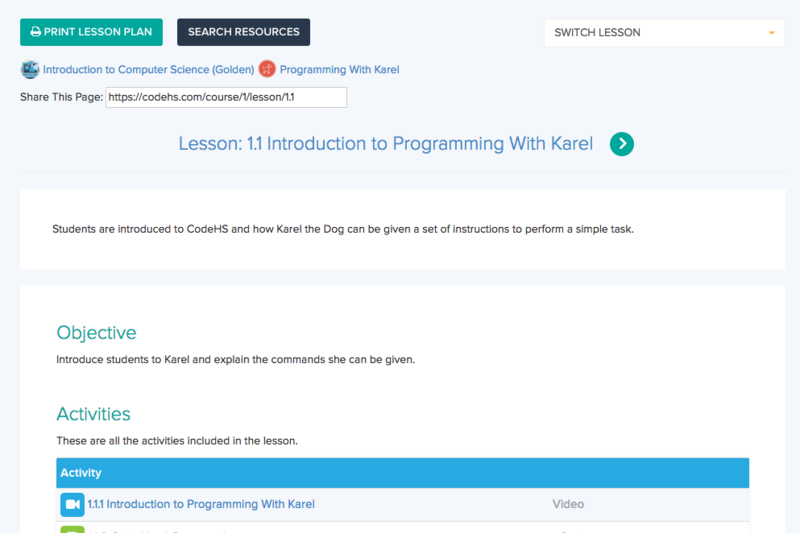 If you click on the lesson name, you will be directed to the Next Generation Digital Lesson Plan for that lesson. This page contains much more interactive lesson material than the printable lesson plan. For example, the ability to review exercises for a class. 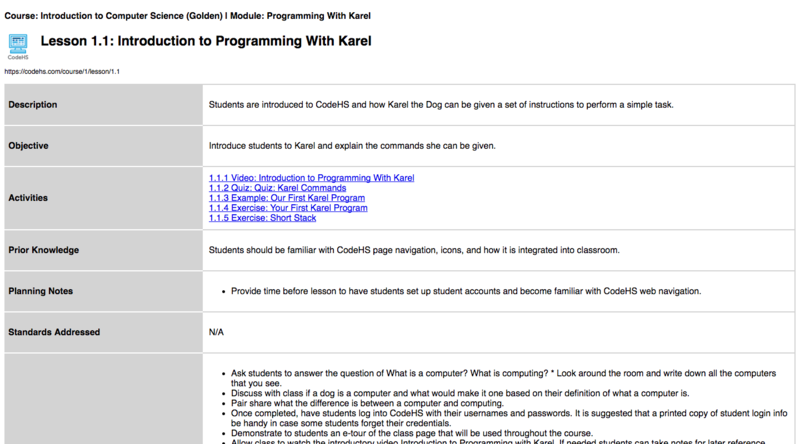 Note: Complete lesson plans are only available for CodeHS Pro customers. If you would like more information about CodeHS Pro, visit codehs.com/pro or email our team at hello@codehs.com.